Like jazz and the blues, gospel is a true American art: borrowed from both Africa and Europe but reforged in this country into a music that celebrates life even as it recognizes the deep stain of America’s great cultural divide. The history of slavery and racial division is implicit in gospel music and helps account for its beauty. In its revivalist sounds and words are a recognition — and in some small way, a balm — for America’s great sin against itself. Gospel purifies, without sanitizing: Caught up in the ringing chords and rolling rhythms of a gospel tune, you can remember and forget at the same time. What does gospel sound like? Like faith, hope and jubilation, triumphing over hard times. Musically it runs a time line from its simple predecessor, the spiritual, to contemporary funk. But it shares a special affinity with its secular first cousin, the blues. Gospel says “yes” and the blues say “no,” but they speak in the same voice: Sometimes the only difference between Saturday night’s party band and Sunday morning’s church music is the words. 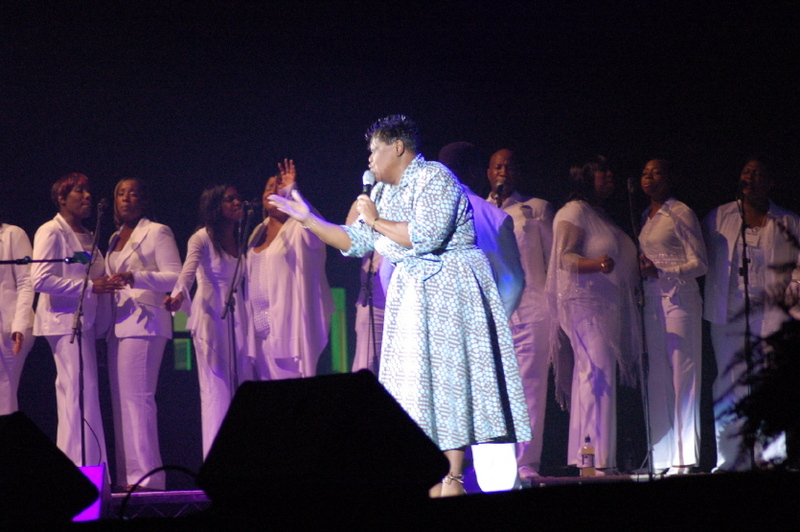 Gospel may ring out with the sweet pure authority of someone singing in the Mahalia Jackson tradition. It may rock to the get-down wails of a quartet, jubilantly “passing over” the lead from one singer to the next. It may wave from side to side, rolling over the assembly from a robed choir 50 or 100 voices strong. It may be sung a cappella or ride a honky-tonk riff or be driven by something very like an electric blues band. Any way it comes, it’s all of a piece. Heaven may be in its eye, but hard times dog the gospel sound — times that demand a trust in the Lord. Gospel promises better times, if not on Earth, then beyond. “I was born in ’33, during the dear old Depression,” Willa Dorsey, Portland’s most prominent gospel singer, commented with a rueful laugh. In her 50-year career, Dorsey has sung for presidents and princes, national television audiences and throngs as far-flung as Sweden and Sri Lanka. who used to play with me. Dorsey ‘s admission — of isolation, and the need to overcome it — speaks to the heart of religion and to the yearning parts of all of us. It also touches on the humiliation of being shunned: for being religious in an irreligious world, as her lyrics suggest; for being black in a white culture or white in a black one; simply for being different. America, a land founded on the principle of individual choice, despises difference. It might seem anachronistic that church music still holds such sway on our imaginations. Most Northwesterners don’t even go to church. Our corner of the map is the country’s most secularized, with a lower rate of church membership than any other region. And we are odd only in degree: Nationally, organized religion’s influence on everyday life has been slipping for decades. Yet the churches remain — sometimes vibrant islands in a shifting swirl of contemporary thought — and we often feel them more than we understand. The power of gospel remains formidable — perhaps because it makes no compromises to the musical marketplace, certainly because it is rooted in the soul. To modern ears attuned to something just a little richer than pop-40 radio, gospel’s beat, inflections, stretched tones and subtle shifts in rhythm can be like a homecoming to a place you didn’t know was there. Indeed, gospel — black gospel, which has been far more influential than its white counterpart, though they grew up side by side in the segregated South — can be looked on as an alternate vision of spirituality and community: a vision that looks forward to heaven but roots its God in the plain travails and celebrations of everyday life. And the church, an ark of safety in a dangerous sea, has been the center of both the culture and the music. Now, the center is wobbling. As economic and social opportunities have expanded for many and as many others have succumbed to the hopelessness of life in the permanent underclass, churchgoing has faded among blacks — but not as much as it has among whites. “The church is used in the black community for everything: meeting place, therapy, whatever,” said Scroggins, who frequently swings back to her gospel roots. In Portland, gospel makes itself known in such largely black congregations as Maranatha Church (considered by many the best) and Mt. Olivet Baptist and also in more integrated congregations such as Ainsworth United Church of Christ. The related country-gospel sound often can be heard in white churches, too — especially Pentecostal and fundamentalist congregations. 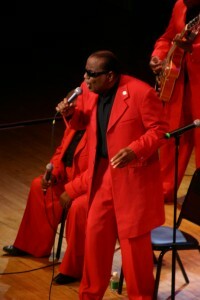 You also can hear gospel or its influence from a host of local performers in clubs, concerts or special church appearances, among them bluesman J.C. Rico, the Wilder Wards gospel group, Ken Berry, Myrtle Brown, Brenda Phillips, jazz singer Shirley Nanette and her daughter, Tracy Clay, who’s been getting enthusiastic report cards from local musicians. Another hot young gospel talent is singer Goldie Irby. With its five separate choirs (the main one sometimes swells to as many as 150 voices) and large, demonstrative congregation, Mt. Olivet puts a great deal of importance on music. On a recent Sunday morning, local singer Jeanette Brown sang a soul-sounding Can You Reach My Friend, Joanne Adolpheus delivered a hard-soaring solo on Magnify the Lord while a 50-voice choir rocked slowly and steadily behind her, and the hall filled with the sounds of drums, guitars, piano and organ. In the audience, shouts of “Yes!” or “Praise the Lord!” went up intermittently; hands clapped exultantly; arms waved in musical testimony and emotional release. 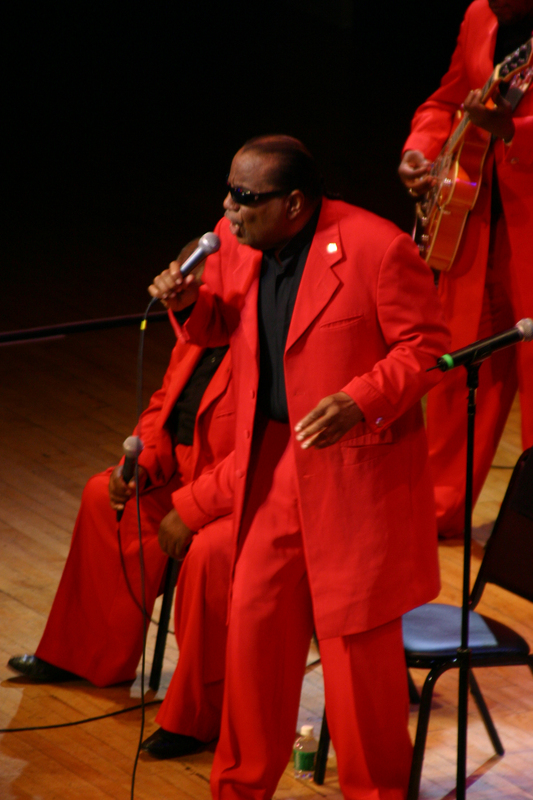 In the 1950s, Archie Brownlee and the Five Blind Boys of Mississippi sometimes played to crowds of 40,000. When they staged “battles of the bands” with their neighbors, The Five Blind Boys of Alabama, ambulances were kept on standby to haul off the inevitable dozens who’d be overcome by the excitement. And young Sam Cooke, later to be a pop superstar, was almost a matinee idol when he sang gospel with the Soul Stirrers and the Pilgrim Travellers (where Lou Rawls was one of his backup singers). Men’s groups such as the Soul Stirrers directly inspired such tight-harmony pop-soul sensations as the Temptations. The music of gutsy gospel shouters such as Clara Ward was reborn in the plaintive rasp of Aretha Franklin. Little Richard stole his “woo-ooo” from a Philadelphia gospel singer named Marion Williams. The music of Ray Charles, Wilson Pickett, Mavis Staples, Tony Toni Tone, Luther Vandross, Whitney Houston, even Amy Grant is tinged with gospel. Gospel reaches deep into the cry of Fontella Bass pleading Rescue Me and into the speculation of Michael Jackson’s Man in the Mirror. The borrowing has been even more far-reaching. Watered-down versions of gospel have dominated the mass-culture airwaves for at least 40 years, linking the sacred and profane in American life. The influence didn’t stop with Elvis — or with other impressionable white hillbillies such as Carl Perkins and Jerry Lee Lewis. A local musical hero who’s had a cult following nationally for years, Salgado shakes his head in admiration for the likes of the Dixie Hummingbirds, Swan Silvertones, Pilgrim Travellers and other seminal gospel groups that have influenced his own style. (He attributes his trademark, high throaty squall directly to such groups.) Salgado does his singing in bars, and he’s a white man immersed in a black tradition. But his sound comes straight from the black church: one more watering from the underground river. Gospel’s river flows backward in time, opening to interested Americans the remarkably fruitful new territory of the past, with all its implications of who we are and why we came to be that way. Like jazz and blues, the gospel sound is a 20th-century innovation, and the three have been trading licks back and forth from the beginning. But it also embraces (often with an updated beat) the older, simpler form of the spiritual, which is rooted more obviously in West Africa and is closely related to the field songs of America’s slavery days. Many spirituals — Follow the Drinking Gourd; Go Down, Moses — were “message songs,” with coded lyrics that allowed communication among slaves who were normally restricted from speaking to one another. In the churches you can still sometimes hear the African-inspired sound of what Scroggins calls “long-meter hymns” — simple songs that suddenly abandon the constraints of time, becoming rawly primitive and excitingly sophisticated at the same time. To Scroggins such songs have international resonance, reminding her of traditional Jewish music, North African music, even Gregorian chant. You could extend the comparison to include contemporary minimalist music by such cerebral composers as Philip Glass. Gospel may be fundamentally black, but it inevitably crosses color lines — just as America itself remains divided racially and yet fruitfully intermingled. 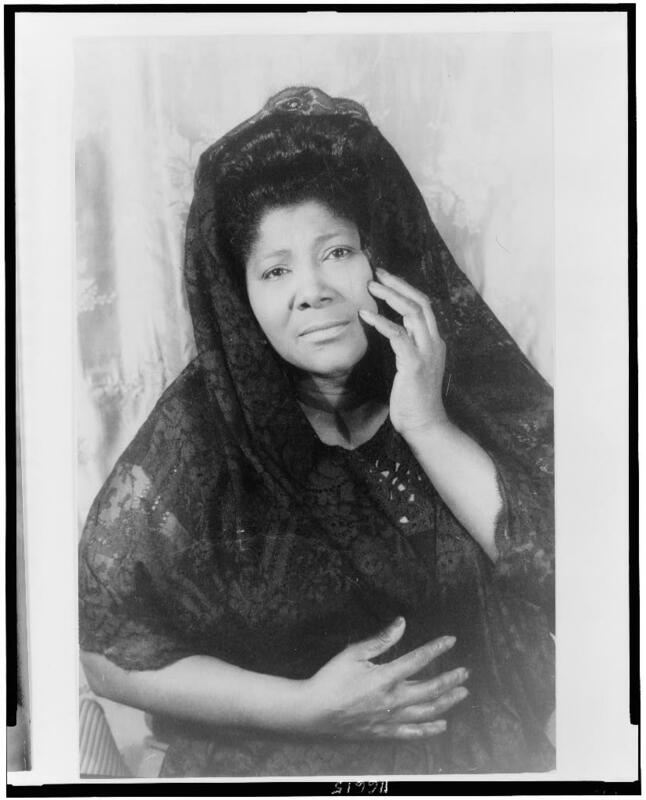 Scroggins, who grew up in the segregated little town of Idabel in the southeast corner of Oklahoma, listened to such gospel stars as Sister Rosetta Tharpe and Brother Joe May when they stopped in Idabel to sing in the all-black Booker T. Washington School. But she also heard the honky-tonk that pervaded white Idabel. When she moved to the gospel stronghold of Oakland, Calif., Scroggins realized that her own music was somehow just a little different — “and I said, `Oh, yeah, that country-western stuff,’ ” she recalled with a laugh.